Each year, Beth Emeth participates in our annual home-repair project, along with more than 25 other Washington-area synagogues and more than 150 church communities. The program improves the homes and lives of elderly, disabled and low-income homeowners by helping them maintain their homes. 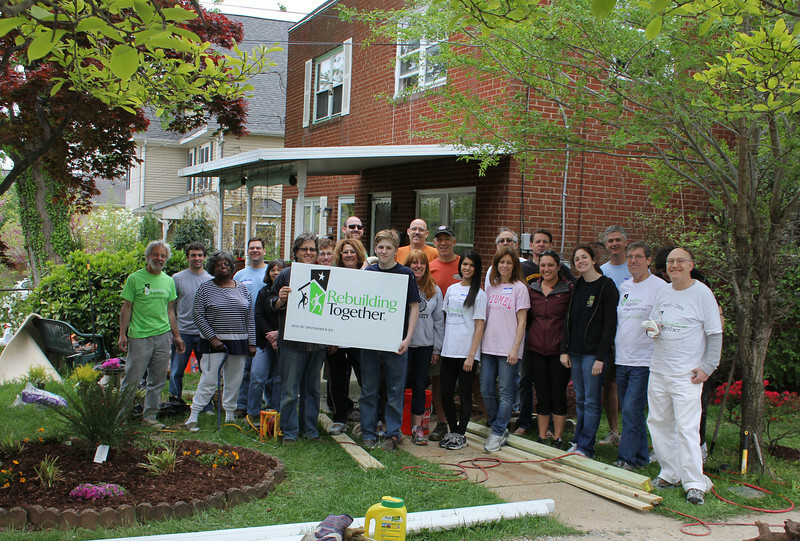 This is part of National Rebuilding Day sponsored by Rebuilding Together and Yachad. Photos by Dan Moldover and Susan Berger of CBE and Marcy Bartlett, Program Manager for Rebuilding Together. Want to participate (or help lead) next year? Contact Ted Benjamin or the CBE office.